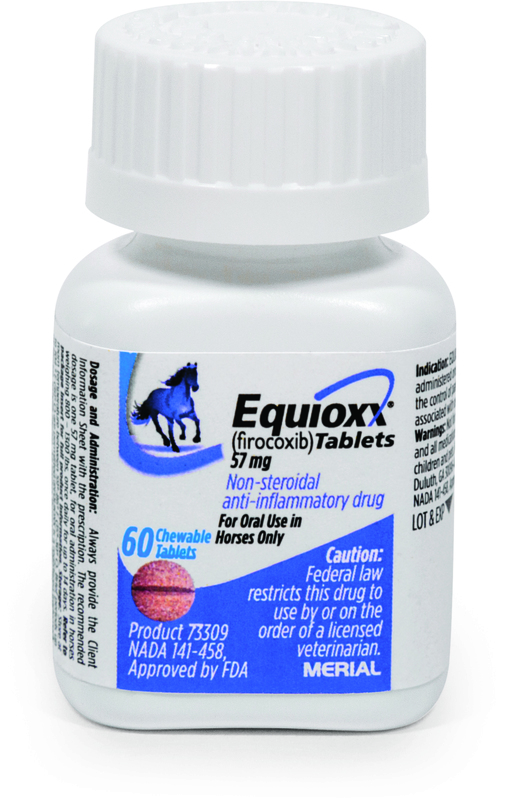 Equioxx is the first non-steroidal anti-inflammatory drug (NSAID) of the coxib class used to control pain and inflammation associated with osteoarthritis in horses that has been approved for use in the U.S. As a coxib class NSAID, Equioxx targets COX-2 (cyclooxygenase-2), which helps generate chemicals called prostaglandins that are responsible for pain and inflammation, while sparing COX-1 (cyclooxygenase-1), which helps maintain normal bodily functions such as blood flow to the kidneys and gastric mucosal protection. Most NSAIDs currently approved for use in horses inhibit both COX-1 and COX-2. Firocoxib, the active ingredient in Equioxx Brand Products is a highly selective inhibitor of COX-2.